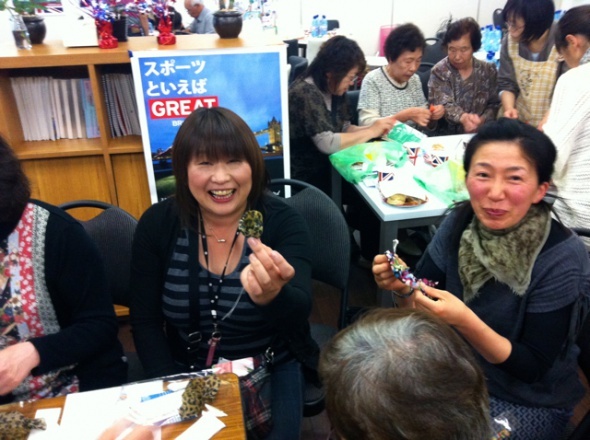 We hope to help other areas around the WORLD, not just in Japan. 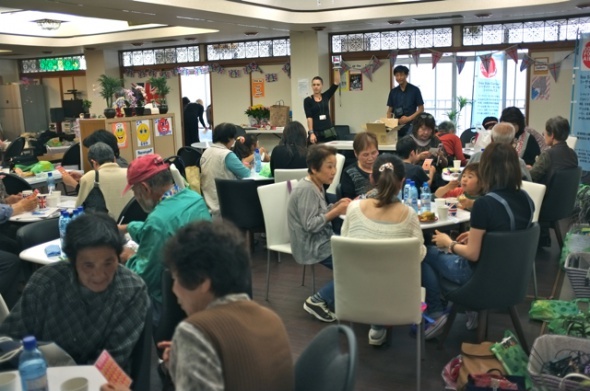 Interview with Angela Ortiz, who’s been supporting people in the devastated area in the Northern part of Japan since 3.11 Earthquake occurred, still continues. In this part, we tell you about her team’s long-term projects for supporting residents in Tohoku. 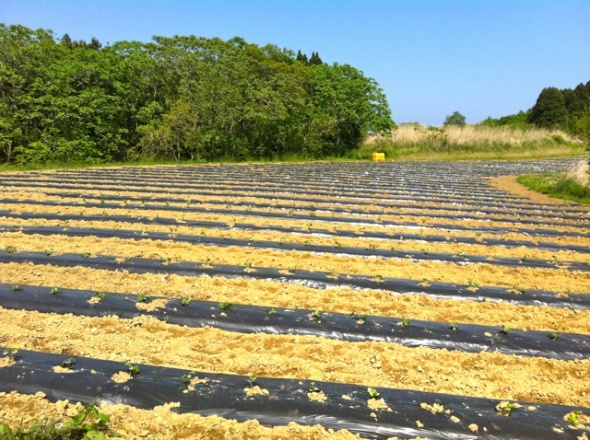 In June 2012, we applied for NPO / Ippan shadan houjin (general incorporated association) status. We used to be only a volunteer group, but we became a general incorporated association called O.G.A. FOR AID. There is still a need for not just rebuilding but for regeneration and revitalization. They need some supports in terms of growing into the next century, into the future and into the next generation. So first we started the project called “Green Farmers Association” (GFA). This is focused on revitalizing agriculture industry here and immediately helps to generate revenue for local residents. It also supports tourism because a lot of volunteers and visitors come to see the progress. Running cost of farming is very high, and the market price for vegetables is very cheap. So many people abandoned farming here. There were a lot of unused farms left. Some of them are abandoned up to 20 years ago. They had trees and stones and nobody could reclaim them because they lacked the body strength, money or farm equipment’s (many of them lost equipment because of tsunami) to do that and start farming by themselves again. So GFA is taking all these individual plots of land and making them into one farm. Even though these are in different locations, all of them are GFA farms. We can cut down the trees together and farmers share with us their knowledge of how to farm an cultivate these lands. So now we can do mass cultivation and mass sales. They can earn salary by helping this project. GFA has been able to support about 950 families so far and we estimate about three to five years for this project to become self-sufficient. 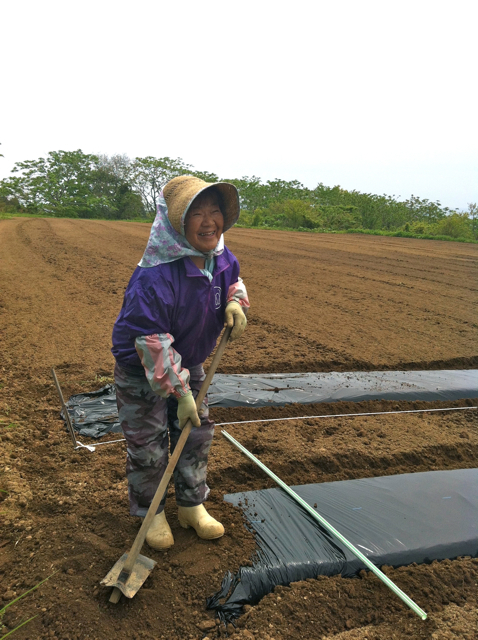 Also we distribute our crops to families in Minami-soma, Fukushima Pref. It’s far from here, but it’s near the radiation zone. They cannot grow their own vegetables. We distributed our vegetables to about 350 families there. 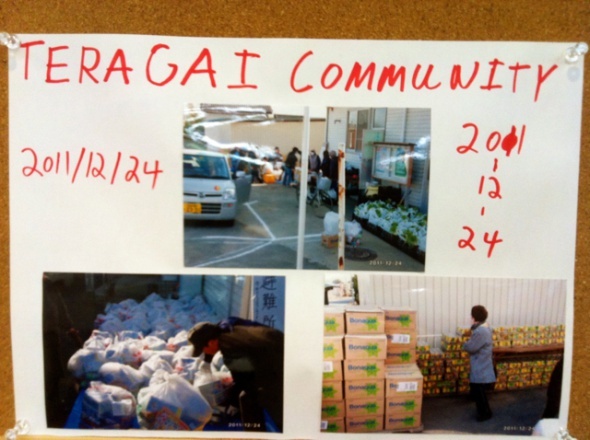 Also we shipped to 350 families in Kesennuma, another devastated area in Miyagi. Project No.2 is renovation of the abandoned space, which means creating venue to implement capacity building programs called C.L.C, Community Learning Center. For example, quite a few grandmothers come here, they’ve never touched computers before. They don’t know how to use computers, so they come here, to the Sea Side Center for lessons. Actually a lady who runs a cigarette shop wants to learn how to start keeping sales records on the computer instead of using a pencil. 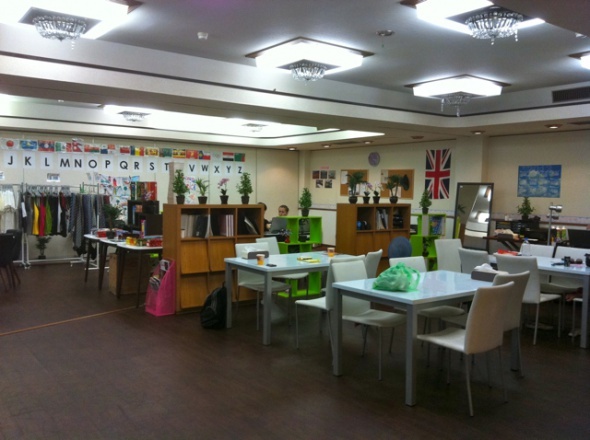 Other people come here to learn English. On the other hand, some people come here to just relax and watch TV. Some people come here to meet with their friends. Because temporary housings are scattered everywhere. We do a lot of different events and parties at Sea Side Center to help people to have a good time. In Minami-sanriku, children evacuated to shelters right after the disaster. They were OK but they did see a lot of different things that children shouldn’t see. One boy told me that how he watched the boats act as battering rams and destroy the railway bridge, which had people clinging on for their lives. He watched them all get washed away in the tsunami waves. Also they have many friends who died some are able to process things or recover from the trauma quicker than others. Many of them wanted to get on with life. In order to do that, they need to forget things for a while and they need a place where they can do that. This place can be like that for them. About 15 little kids come here and enjoy. Also we’ve connected local people with people from other areas or even other countries here. Here is where people meet people. So this space functions as a “multicultural hub”. This place was offered to us by Hotel Kanyo. 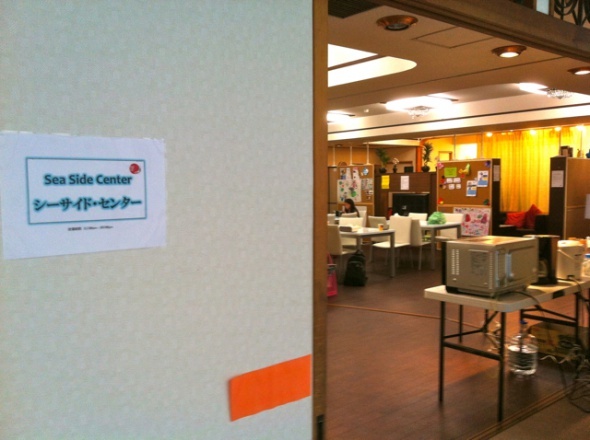 We’re borrowing the space from them and many big companies like Microsoft Japan donated to the project laptops, furniture’s and some equipment’s. Basically trying to support or helping to support Minami-sanriku goes on into the future – means supporting the future generation. 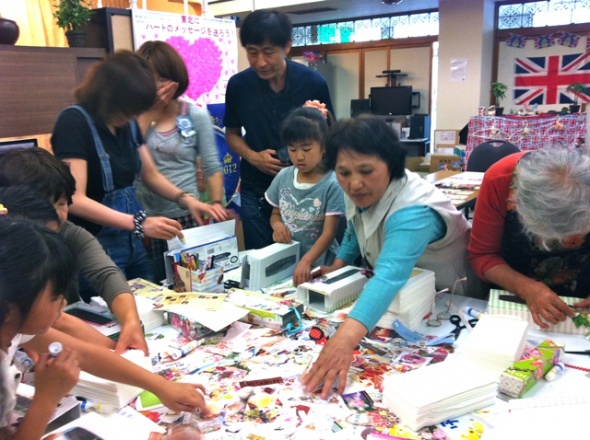 We believe that children rising from the disaster will play significant part in the future all of Japan. They will see not only the cities being rebuilt, but they will see their parents struggle or work hard to rebuild their lives. So they will grow at a different attitude towards life. If they don’t get support, it’ll be very tough for them and they’ll move to big cities to look for the educational opportunities. The first thing people need is job. But that’s not necessarily something that we can give everybody. What progress has been covered? What is the government doing? What areas are being covered by other larger NPOs? An important factor is that there is a genuine desire from the local residents. Understanding their culture and history helps us understand what this could be. This is a slow process. For example, C.L.C started in January 2012 and we had only 5 – 15 students in total. But 3 months later, we have 3-5 classes every day. They slowly got used to it. Slowly the local ownership got developed, like “Oh, this is a nice place! OK, I’m coming here”. 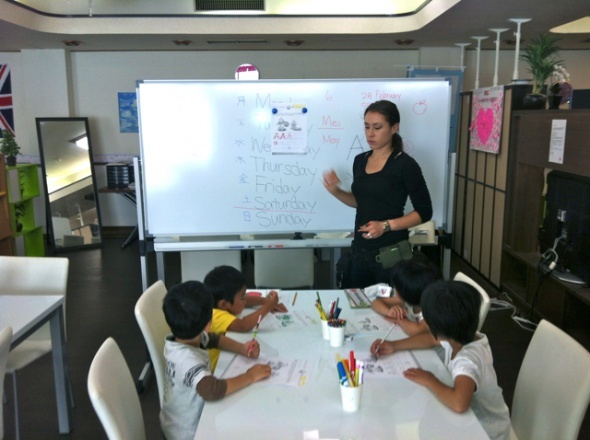 Then kids learn some words in English and they say, “Now I can speak English! When I grow up, I’ll go to America”. This is a long educational program, but this is my personal kind of idea that I wanted to start here in Tohoku – promoting international language & culture exchange and boosting connectivity between American and Japanese youth. I’ve been involved in the early child education for a long time in Tokyo. And my family’s school called O.G.A. is an international kindergarten. Kids learn about holidays in Mexico, food you eat in Europe and clothes you wear in Africa. One thing I like about international education is that it really promotes the idea that the differences between humans are good. You like different things, but it doesn’t mean we cannot get along. In the future, these ideas that it is precisely our differences, which give us opportunities for, value creation between people, cultures and races. Hopefully I would like to try that here. 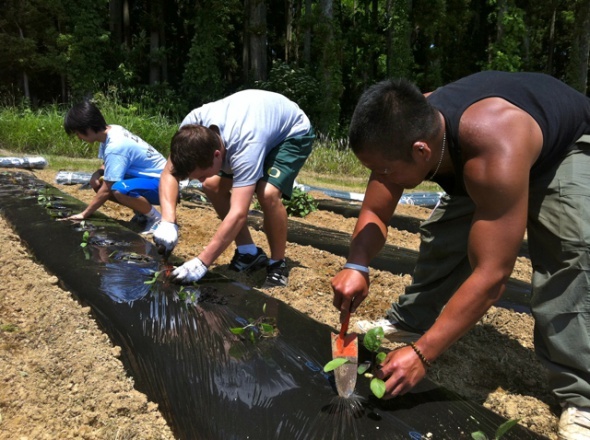 Both Green Farmers Association (GFA) and the CLC or the multicultural kidz project can be copied in other municipalities. I think that’s the strong point of our projects here. I won’t be living here probably as a hands-on for the next 10 years. Actually as for the organization, we’re not going to end in Minami-sanriku. 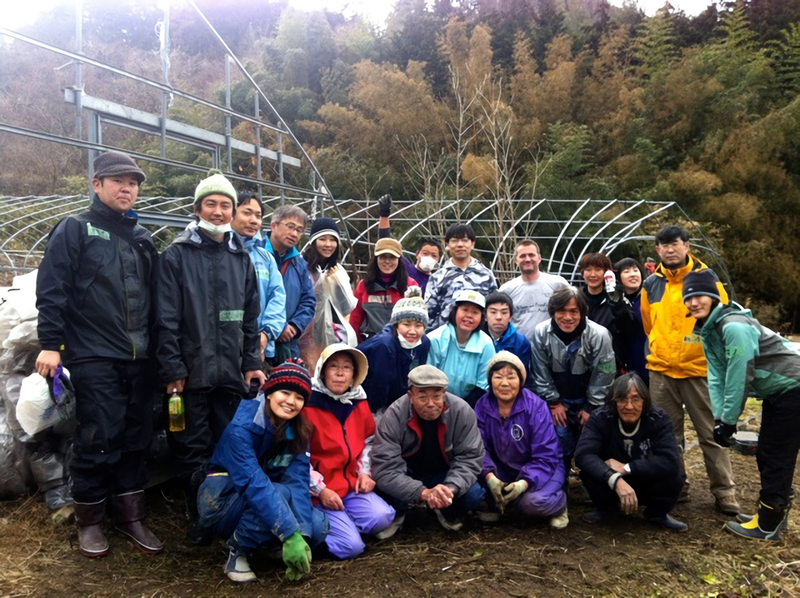 We hope to help other areas around the WORLD, not just in Japan. You can use the idea of community center in Thailand, Indonesia, Africa or anywhere. Also those two projects will have strong impacts on the recovery of Minami-sanriku. The real challenge is from now. We need people to still come up and see the situation. I’m proud of so many things about Japan – just like my family, there are aspects that do bother me – Japan is also home. When I go back to California, its also home, there too has aspects of living that I don’t particularly love. However, I appreciate a connection with both countries, and the understanding that they are both part of who I am. I feel at home in Japan and feel at home in the States as well. And when I meet Colombian or South Americans, I can relate to them as well.